What Exactly Is Pre Shave Oil? How Do Pre Shave Oils Work? Scented Or Unscented Pre Shave Oil? Does It Really Matter? Pre Shave Oil vs. 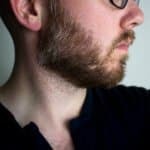 Beard Oil – Yea or Nay? 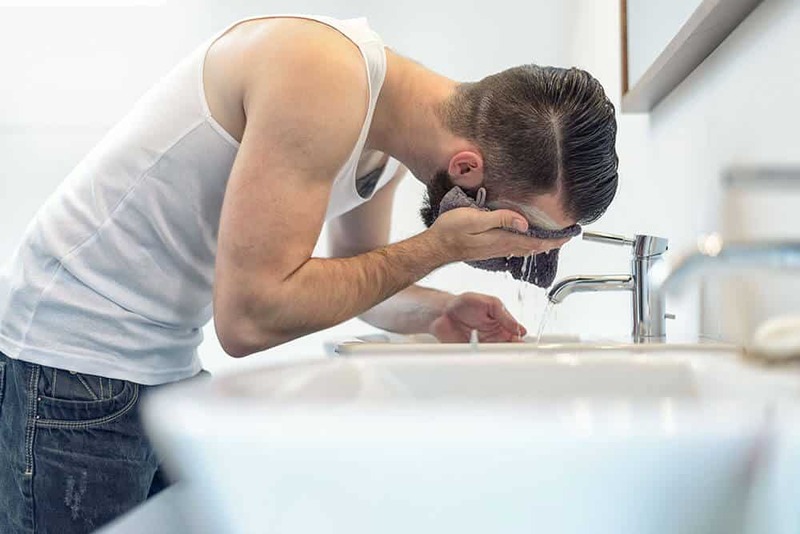 If you found yourself taking the plunge by purchasing a quality pre shave oil and aren’t exactly sure of the next steps – then you have come to the right place. 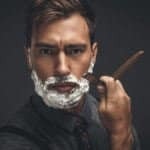 In this article we are going to go over the proper applications on how to use pre shave oil along with some important points about this highly revered grooming product. 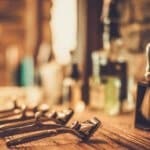 Not only will you be a pro at using this stuff in only a few minutes, but you also learn why pre shave oil works so well in the first place (plus a couple of misplaced myths about this product). To jump right to it, we are going to talk about the application process. 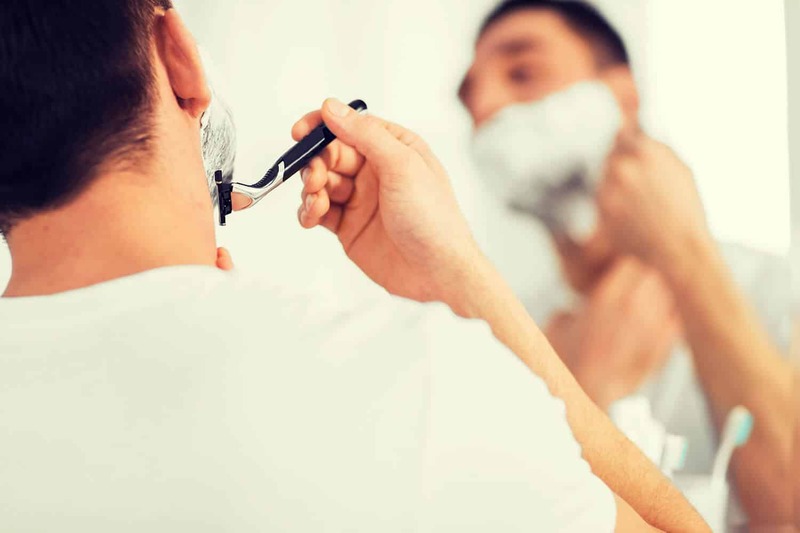 The shave process is pretty straight forward…however, for some men it’s definitely worth repeating the basics just to make sure we are on the same page. A warm to hot shower before shaving will help to not only get moisture onto the surface of your skin, but will also work to swell and soften your whiskers. When it comes to shaving, comfort is everything, and hence the reason why pre shave oils and artisan shave creams exist in the first place. So, a simple pat dry will help to absorb the large amounts of water without causing unnecessary irritation on your skin. If you have a light to medium stubble growth, then simply place about a dime sized amount of the oil into the palm of your hand. Rub both hands together and work into the surface of your skin. 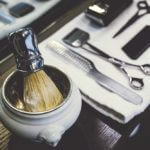 It’s important that during this process that you let the shaving oil have a second or two to fully penetrate the skin. While you wait, use this time to either set your blade into your safety razor or generate a rich and thick lather with your shave cream. We will get into much further detail in just a minute to talk about what is actually happening to the surface of your skin when the pre shave oil is applied. After a couple of minutes, you will then want to go ahead and apply a thick and rich layer of shave cream on top of the pre shave oil. Once, your face has been fully covered, you can then go ahead and make the passes with your razor blade of choice. 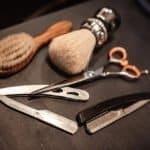 After you made the initial pass with the razor, you will want to go ahead and reapply both the shave cream and oil to catch any stray hairs you may have missed. While some men may think that the reapplication may be slightly excessive, we always like to error on the side of caution when it comes to shave comfort. All pre shave oils fall into either two categories, natural or synthetic. Synthetic pre shave oils most often rely on mineral oil to achieve results. Mineral oil, a derivative of petroleum, is great at retaining moisture on the surface of the skin. Opposite of synthetic shaving oils, you will find ones that rely on a rich mixture of carrier and essential oils to achieve similar results. 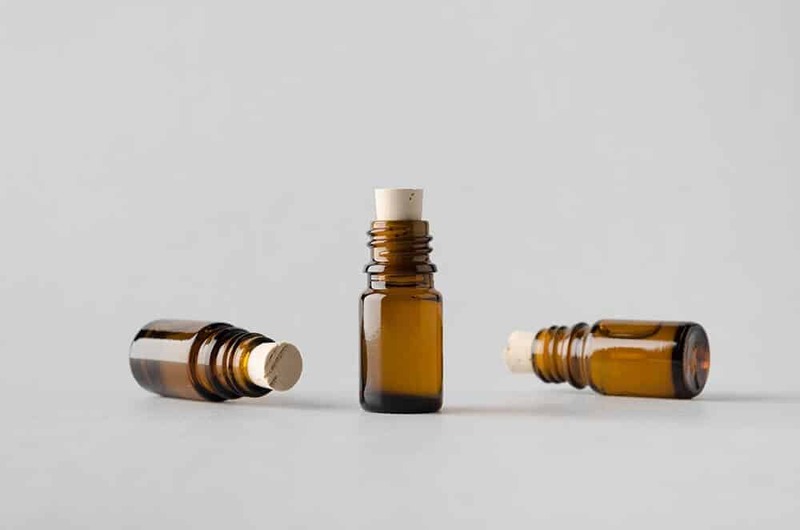 These oils, often derived from various plants and seeds, are often found in a plethora of grooming products for both men and women including shampoos, natural deodorants, beard oils, shave creams, and more. Among the most popular carrier oils found within shaving oils will either be castor oil or grapeseed oil. First off, many men may be deterred of using a synthetic petroleum derived oil during the shave process. While mineral oils themselves aren’t considered to be a carcinogen, lesser grades used in factory or heavy machinery applications are (source). When you drag a razor across the surface of your skin, you are effectively scraping away all the dead skin cells and in some cases, may cause incidental nicks that could allow the mineral oil to penetrate your body. 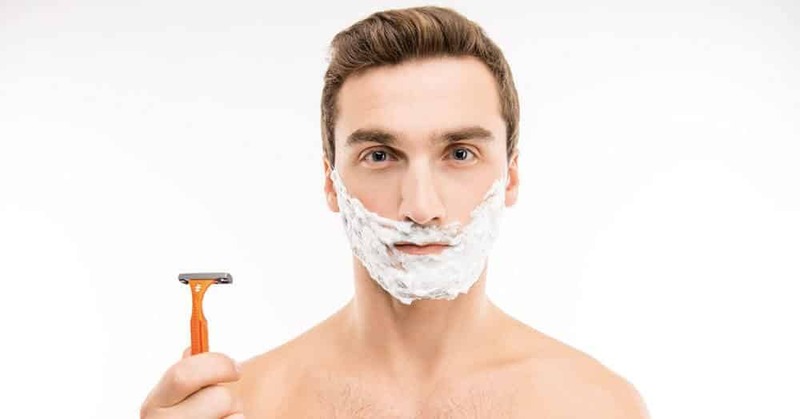 Our goal isn’t to be an alarmist here, after all mineral oil is found in plenty of products for folks of all ages (including toddlers), however, it’s at least worth mentioning this is a concern often raised among men who shave regularly. Secondly, many men feel that natural ingredients may not deliver as good of results as their synthetic counterpart. Therefore, its largely a game of tradeoffs and judgement calls on the behalf of the user (i.e. you) when determining which one will work best for your skin and what you plan on using over the long term. Regardless of the ingredient profile of a pre shave oil, their properties and the results they achieve are nearly identical. Pre shave oils work in a couple of ways to increase the overall comfort of the shave. First and foremost, a pre shave oil will help make your skin more supple (i.e. pliable). Therefore, when the razor blade passes along the surface, be it a cartridge or safety razor, your skin will literally bend with it. Not only will this allow the blade to get a closer cut on the hair follicle, but it will also help to ensure that tension on the surface of your skin doesn’t become too great and cause a small puncture or nick. This makes pre shave oil perfect for men who love a close shave every day. Secondly, shaving oil also helps as a secondary lubricated layer. While artisanal shave creams will also deliver a rich lubricated base, shaving oils will help to compliment this property as well. All of this works to making for a much easier and smoother cut on the shaft of the hair follicle. Ultimately making your skin less susceptible to any pronounced skin irritation long after you are done shaving (although we would still recommend regular application of aftershave balm). Let’s remember for a second, the basics of pre shave oil. It’s a solution that you apply before you drag a razor along the surface of your skin. Therefore, when the razor makes a pass, its largely collecting all the oil along with the rest of the gunk with it (i.e. shave cream, clipped hairs, dead skin cells, and water). So, if you are planning on picking up a pre shave oil, while a nice rich sandalwood scent don’t expect the scent to linger for too long post-shave. 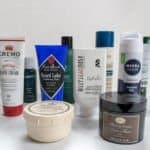 Instead, if you are looking for a pleasant lingering scent after you are done shaving, then you will want to consider an aftershave balm instead. There is no reason why you should be paying a huge markup when it comes to shaving oils. As we mentioned earlier, most brands rely on a natural ingredient profile of a few simple carrier or essential oils. Therefore, what many men do who shave regularly and don’t want to pay extra for shaving oil will just simply purchase a large bottle of either castor or grapeseed oil. These are the same exact ingredients that many shave oil makers rely on. You can expect a lot of great savings on your monthly grooming budget should you decide to go this route. 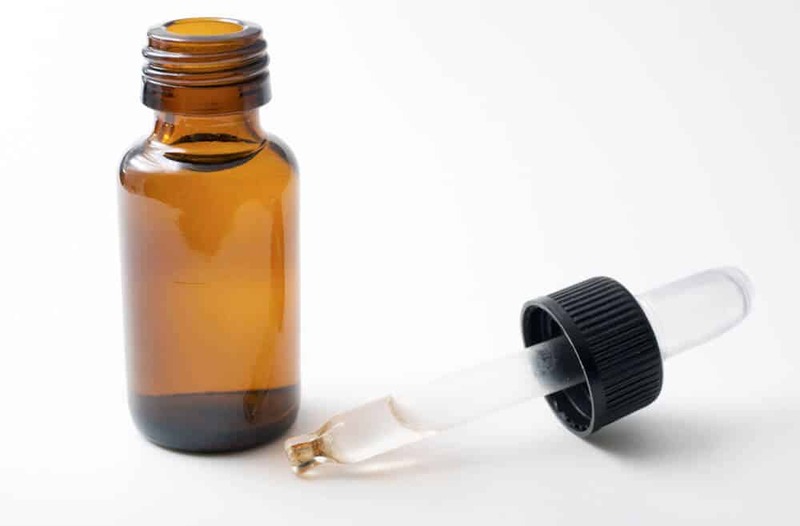 If you really do want to get into the whole DIY pre shave oil process, then you will want to check out our full guide here. There we give out some FREE starter recipes that do include some scented essential oils if you are really looking for that classic barbershop oil. Be warned, making your own shaving oil may become strangely addicting! Unless your head has been in the sand, you are likely aware of the recent beard trend that has taken off in recent years. With any great trend, there are countless companies that are trying to make a quick buck. One product exploded with the beard trend was beard oil. Very much like pre shave oils, beard oils often rely on the same two ingredients – carrier and essential oils. So, this begs the question, can you use beard oil as a shaving oil? While many beard oils are developed for moisturizing and nourishing both the skin and beard, many of them are more so focused on the fragrance aspect as its worn on the beard throughout the day. As we just covered above, fragrance and pre shave oil – while they exist, aren’t simply necessary. But fragrance aside, beard oil will often contain thicker or richer carrier oils. Therefore, if you are planning on using this oil with a cartridge razor, you may run into some issues regarding clogs. 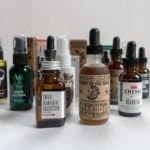 But nevertheless, if you are in a pinch and were a one-time beard wearer so to speak, then yes, you can use an old bottle of beard oil to achieve similar performance results when shaving. One last point we want to touch on is your shave system itself. 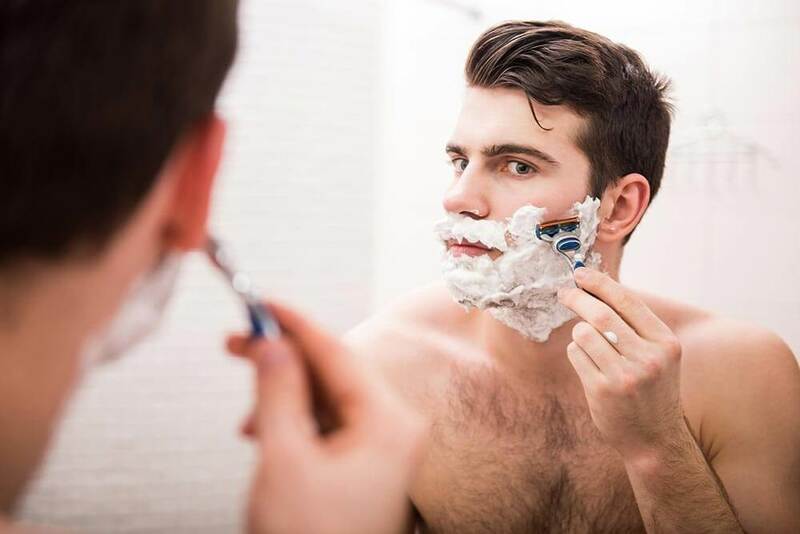 Too often we find men looking to try countless products to try and increase the comfort of their shave only to completely disregard the type of razor blade they are using in the first place. 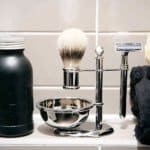 While nearly all men hate paying for razors regularly due to their high price points, we would recommend checking out either alternative cartridge razor systems or simply going with a safety razor. Regularly shaving with a fresh blade coupled with a mediocre pre shave oil will single-handedly beat using a dull blade with a high priced shaving oil any day of the week.